Agile BI has been all the rage for a while now. It is one of those buzz words that everyone loves to throw around. I personally despise buzz words, mainly because they get latched on to by people who do not always have a clear understanding of the fundamentals they encapsulate. These buzz words then get chucked around in meetings like a magic spell, one that will get a project delivered faster, almost like the "turbo" button you had on your 486 computer back in the day. In the custom development world agile methodology has been around for a long time and unit testing forms the core of any custom dev project that is truly following an agile approach. It is therefore no wonder that you have a plethora of unit testing frameworks and tools available for almost every conceivable language and framework out there. The sad fact is that when it comes to BI we have caught up with the buzz word of Agile but we are sorely under equipped to actually take advantage of the methodology due to our lack of unit testing tools. This twilight zone in which we find ourselves lead to many projects heading down the "Max Power Way" in which we accelerate the development of the system but introduce more and more bugs and issues in the project due to the knock on effect that a change has as the project grows. Let me give an example of what I mean. 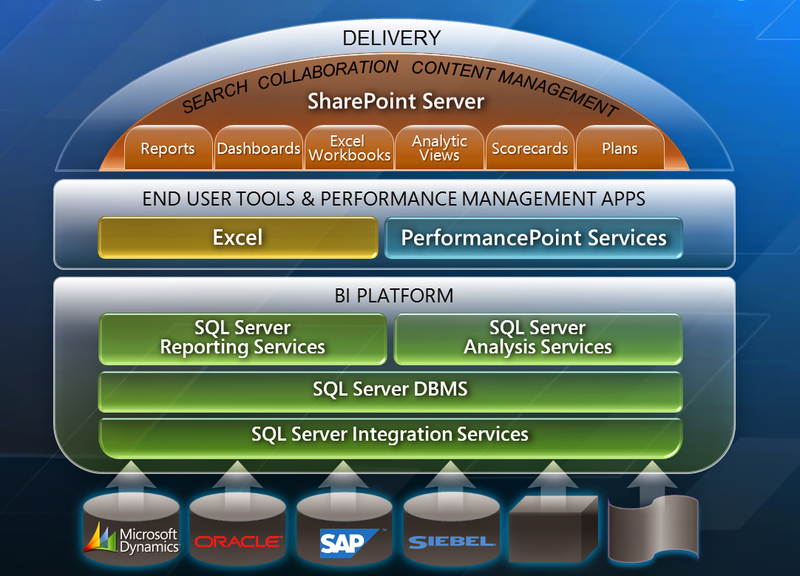 Below is the "BI Burger" slide from Microsoft showing the different layers in a Microsoft BI solution. 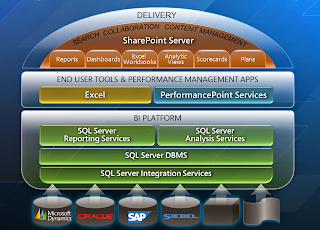 Now imagine that you are delivering a BI solution in which you are following agile methodology. You have completed the ETL, Data Warehouse, Cube and Reporting layers of the first sprint and you are about to kick off with sprint two. The first task of the second sprint is to rename a measure in a fact table and change a couple of data types, one of which is to increase the size of a varchar attribute in a dimension table and the other is changing a measure from decimal to float in a fact table. All of these changes need to happen in the data warehouse. Because everyone is hyped up on double strength doses of Agile the task is estimated to not take very long. However the impact of these changes on the solution is much bigger than the developers realise. While you can make the changes in a few minutes you have to keep in mind that you would need to change all the parts of the system that interact with the objects that you have changes. Lets take a look at these in more detail. For the data type changes and column name change you will need to update the metadata of all the SSIS packages that interact with the tables in which this change took place. Run some tests to ensure that the changes do no cause truncation of data for the dimension table column that was updated. Test that any calculations performed on the measure in the fact table produce the correct results. Test all the calculations of any function, procedure or script that use the measure that had the data type change. You would need to update the actual attribute in the dimension which references the column with the increased varchar size. You will also need to update the measures to ensure that the name change is corrected in the measure group and that the measure now points to the correct column in the fact table or view. You will also need to update the data type of the measure which had it's data type changes in the data warehouse. You will need to update all calculated measures that reference the measure that had the name change. You will need to test the result of all calculated measures that use either of the two measures to which a change was made. This is to ensure that they still work correctly and that they produce the correct results. Update all PerformancePoint Server dashboards that reference the measure that had the name change. Update all SSRS reports that references the measure that had the name change. Update all PowerView reports that are referencing the measure that had the name change. Update all Excel Services reports that are referencing the measure that had the name change. Test every single area of the system manually to ensure everything functions as expected and that all values across the system are still being calculated correctly after the changes have been made. Make use of automated unit testing and kick off the entire batch of unit tests that were created during the development of the system to do the hard work for you. Personally I prefer option number two as it is the best approach to ensure that the entire system is functioning as expected while removing the potential human errors that would be involved in doing it manually. This also reduces the time it takes considerably as you can let your unit tests run on your test server while you get on with other tasks. You could also integrate the unit tests into a nightly build process. Most BI developers tend to not realise the benefits of automated unit testing, mostly because they have traditionally worked using waterfall methodology. On top of this the limited amount of unit testing tools in the BI world adds to the challenge of automated unit testing in BI projects. For instance in SSIS you could use SSISUnit and for the data warehouse and cube you could use QueryUnit. I have also seen some custom tools created to do unit testing on BI solutions and these sometimes require a significant amount of work in order to produce the tests themselves. None of these tools and approaches are without their short comings but they surely beat having to do the testing manually every single time you make changes to the system. Lets be clear, you HAVE to retest the system the moment you make any changes to any part of it. The fastest way to get yourself into a bad situation is to make changes and think that everything will be fine with limited testing. Without having proper unit tests written for every single part of the BI solution, no matter how small, you cannot say with 100% confidence that a change has not broken something somewhere in one of the layers of your solution. Think about the estimate that you would have to give during a sprint planning meeting for the changes in our example based on the two ways of testing. I am sure you would agree that your estimates would seem much less agile if you have to estimate them based on manual testing. In fact I am willing to bet that you would struggle to give an accurate estimate based on the manual testing method. Automated unit testing is the only way to ensure that you realise the benefits of Agile BI. I have briefly shown the impact that a seemingly easy change to the system has on a BI solution and talked about the importance of automated unit testing to ensure that you have 100% confidence in your solution while following agile principles. In the next post about I will dig a little deeper into the tools available to us for automating our unit testing. Until then always remember that proper unit testing is the only thing separating your Agile BI project from becoming a "Max Power" BI project.